The Treasure Island Development Authority (TIDA) is a non-profit, public benefit agency dedicated to the economic development of former Naval Station Treasure Island. The Authority is vested with the rights to administer Tidelands Trust property. TIDA is also responsible for administering vital municipal services to Treasure and Yerba Buena Islands. The seven member Board of Directors is TIDA's governing body. Appointed by the Mayor of San Francisco, with certain appointments approved by the San Francisco Board of Supervisors, the Board of Directors meets regularly to oversee both the interim reuse of the Islands as well as the master development planning process. The member of the San Francisco Board of Supervisors representing Supervisorial District 6 sits as a non-voting, ex-officio member of the Board of Directors. The Treasure Island Development Authority Board of Directors meets monthly on the second Wednesday of each month at 1:30 PM at San Francisco City Hall Room 400, unless otherwise noticed. The Treasure Island Development Authority is staffed by the Office of the San Francisco City Administrator. Day-to-day operations and development planning is led by Treasure Island Director Robert Beck. The TI/YBI Citizen Advisory Board (CAB) meets regularly and provides additional as-requested expertise to the TIDA Board of Directors. 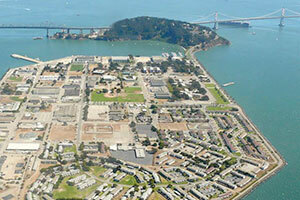 The TIDA Board of Directors may refer to the CAB from time to time to provide recommendations concerning the transfer and redevelopment of former Naval Station Treasure Island. The Citizen Advisory Board meets monthly on the first Tuesday of each month at 6:00 PM. Meeting locations vary, check agenda for location.